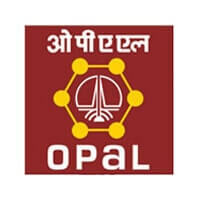 OPaL Recruitment 2018 – ONGC Petro additions Limited (OPaL) Job notifications for posts of Executive & Non- Executive (Jr. Supervisor) in various disciplines. The detailed eligibility and application process are given in below. Executive (Cracker Operations): Bachelor Engineering degree in Chemical Engineering/ Petrochemical Engineering. Executive (Polymer Operations/Central Technical Services): Bachelor Engineering degree in Chemical Engineering/ Petrochemical Engineering or Polymer Technology. Executive (Mechanical Maintenance): Bachelor Engineering degree in Mechanical Engineering. Executive (Electrical Maintenance): Bachelor Engineering degree in Electrical Engineering/Electrical & Electronics Engineering/Electrical & Instrumentation Engineering. Executive (Instrumentation Maintenance): Bachelor Engineering degree in Instrumentation Engineering/Instrumentation & Control Engineering/ Electronics & Instrumentation Engineering/Electrical & Instrumentation Engineering. Jr. Supervisor (Cracker Operations): Diploma (Govt recognised 3 years course) in Chemical Engineering/Petrochemical Engineering. Jr. Supervisor (Polymer Operations): Diploma (Govt recognised 3 years course) in Chemical Engineering/Petrochemical Engineering/Polymer Technology. Graduate Engineers/MBAs will not be considered for any of the published non-executive posts (Jr. Supervisor). Candidates who had applied in the past need to apply afresh against this advertisement. The selection process of all posts will be based on Performance of Interview. The shortlisted candidates only interviewed by the selection board. How to apply for OPaL Recruitment 2018? All interested and eligible candidates can apply for this position in online latest by 25 September 2018.